If you’ve ever worn dentures, you know how uncomfortable they can be. Traditionally, dentures sit on top of the gums and are held in place with denture adhesive. However, the adhesive used doesn’t stop dentures from slipping and sliding around in your mouth. This dental movement causes gum irritation and can lead to embarrassing situations, such as your prosthetic teeth falling out. At Docklands Dental Studio, we have a solution for aggravating dental movement. Implant-retained dentures are securely attached to dental implants; therefore, eliminating possible denture movement. Patients with implant-retained dentures have no need to worry about possible slipping, shifting, sliding, and falling out. Implant retention holds dentures in place throughout the day. There’s no gum irritation or need for denture adhesive with implant-retained dentures. Before you can have implants placed, our dentists need to make sure that you’re fit for surgery. Ideal candidates should have a strong, sturdy foundation for dental implants. If you’ve practiced good oral hygiene throughout your life, you’re an ideal candidate for implant-retained dentures. To learn more about implant retention, schedule an appointment today with one of our experienced dentists at Docklands Dental Studio. Call 03-9021-9487. Our dentists will place four to six dental implants into viable jawbone to create a secure attachment site for dentures. Prosthetic teeth snap onto the dental posts to prevent dental movement. Patients with implant-retained dentures don’t need to use denture adhesive to hold their teeth in place. Instead of sticky dental glues, they simply snap their teeth into place each morning and remove them before bed every night. Caring for implant-retained dentures is simple. 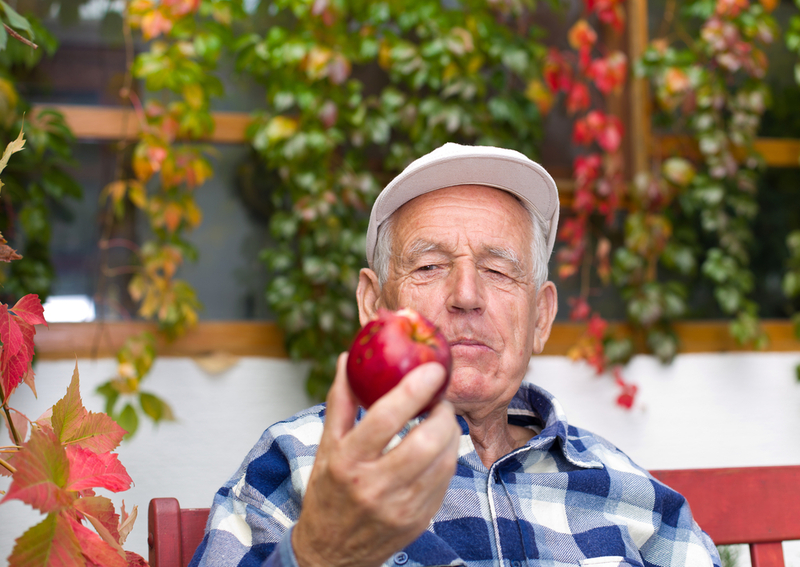 Our dentists encourage patients to remove their dentures for brushing and flossing. Gently brush and floss your prosthetic teeth, gums, and implants every morning and night. 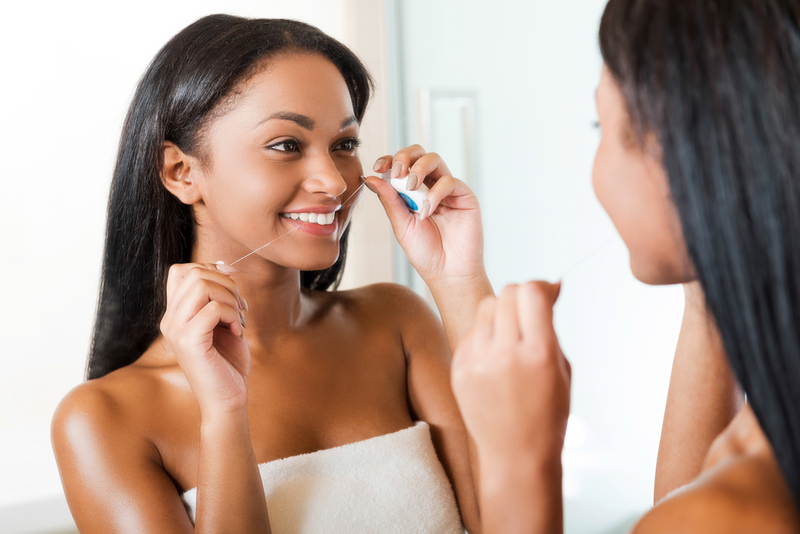 It’s crucial that you floss each implant, as food particles are prone to get trapped. Food that isn’t removed can lead to infection. If you decide that implant-retained dentures are the right procedure for you, our dentists will surgically imbed dental implants into your jawbone through a small incision in the gums. Each implant is made from biocompatible titanium and resembles the shape of a screw. Implants are strong and allow for a sturdy foundation for dentures to affix to. After your implants are surgically placed into healthy jawbone, it will take roughly four to six months for the posts to completely heal. During these few months, osseointegration will occur. This simply means that the dental implants will integrate with surrounding tissues, gums, and bone. Once your implants are fully healed, our dentists will snap your custom-made dentures onto the dental posts. Who’s a Candidate for Dental Implants? Establishing candidacy for dental implants is easy. Our dentists will perform a full examination of your gums and jawbone to determine if you’re an ideal candidate for this surgical procedure. Our dentists look for strong, healthy bone and pink gums. Patients with years of good oral health are usually appropriate candidates for implant surgery. If you think that implant-retained dentures are for you, but don’t have the best oral health, our dentists may recommend grafting. Bone grafting treatment is when healthy bone tissue is taken from another part of your body and placed onto weak bone to build a strong foundation. In some cases, bone tissue is taken from donors. Call 03-9021-9487 today to schedule an implant consultation with a Docklands Dental Studio dentist to determine if implant-retained dentures are appropriate for you. Our dental practice is within 30minute commute from North Melbourne or West Melbourne by taking bus or tram into the city then hop on Tram Number 11 or 48 from Collins St towards Docklands and get off at Collins Landing (Stop D17). Dental Implants: How Does it All Work?